The University of Michigan Solar Car Team is comprised of the most talented and driven members of the University from a wide array of disciplines. By developing the best traits within each student, these individuals unite as a team in pursuit of unprecedented excellence. 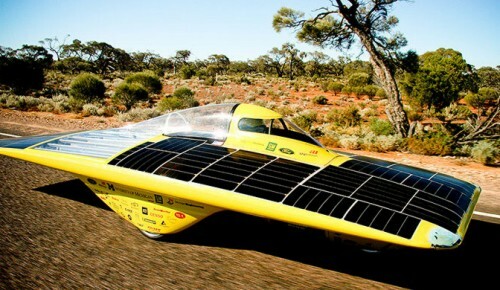 The team implements cutting-edge technology and creative innovations to produce and race a world-class solar car. Extending beyond racing, the team reaches out to the local, national, and international communities. Through partnership with the best companies and individuals, the team's internal strength translates into external success, driving it to be the best solar car program in the world. To be the best solar-car team in the world, leading in performance and innovation.